Hair as straight as sticks, dreams as frail as bog cotton, and eyes as big as plates. 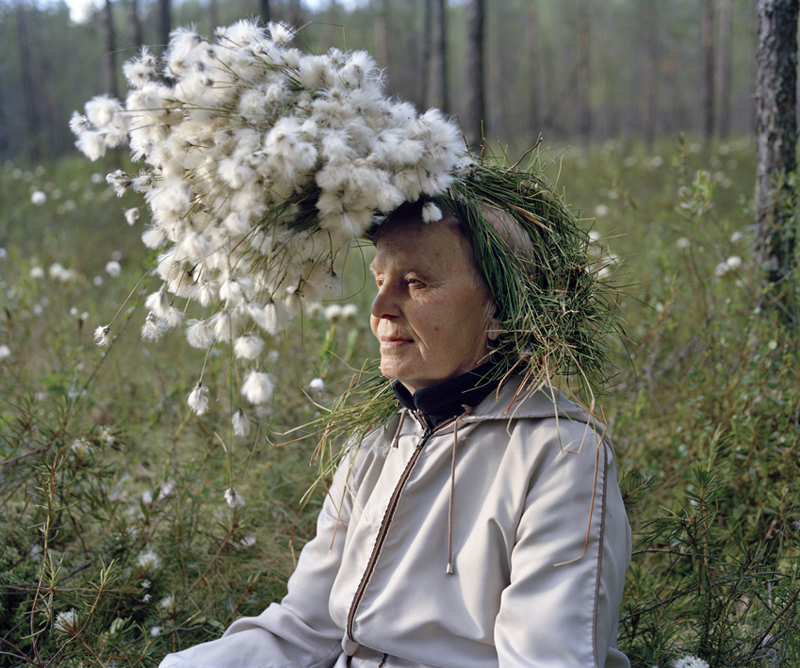 On the internet, this series of photographs has gotten a lot of attention under the headlines “Old Finnish People with Things on Their Heads,” which, while funny, really obscures the purpose of these strange pictures. The series is actually called “Eyes as Big as Plates,” a rather beautiful name, if you ask me. 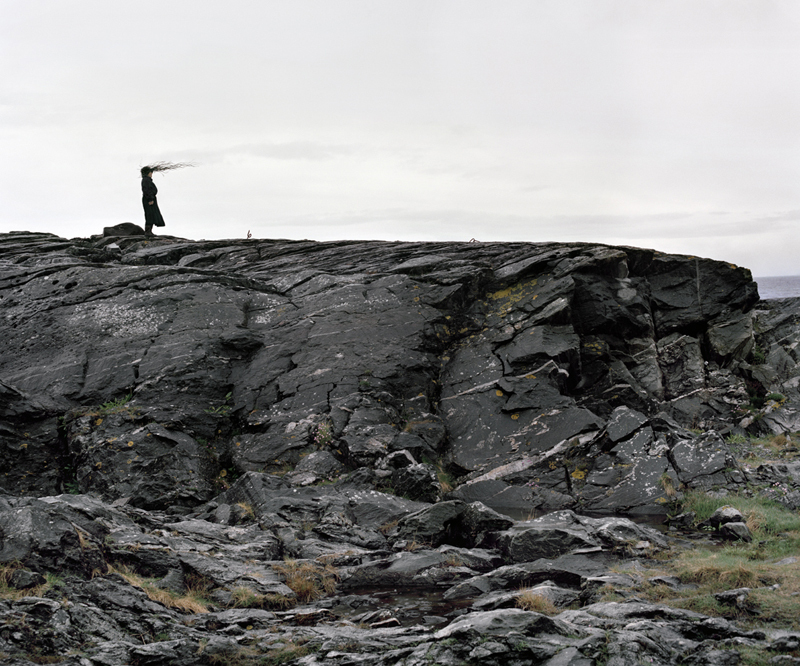 Originally inspired by Scandinavian folklore, the series has grown to cover people living in New York, Japan, and Iceland. 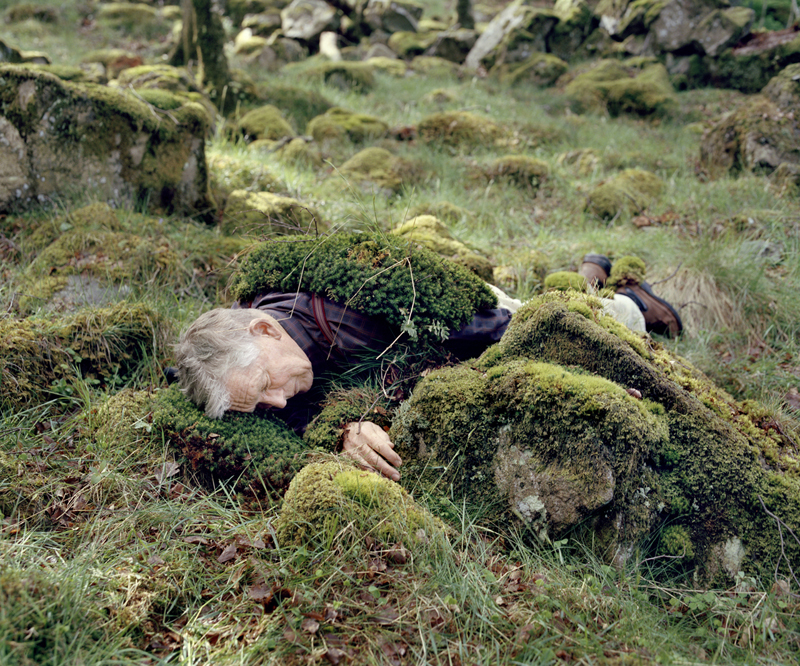 It’s the creative work of photographers Karoline Hjorth and Riitta Ikonen and while I do think it’s peculiar and humorous, I also think it’s a wonderful depiction of human dignity, just people being people in their natural environments. 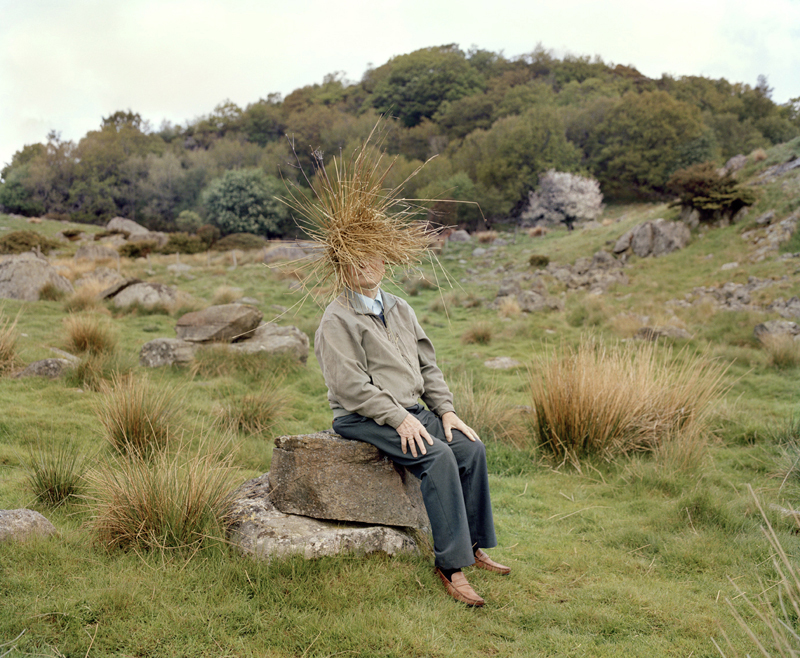 Sure, we don’t typically adorn ourselves with windswept sticks and stand atop a cliff… but why not? It’s not like I do anything better with my days. I might just be in sleepy fiction mode, but each piece feels like a writing prompt to me. Marvin lay down for a little rest in the wood behind his house. He thought he could find his way back easily—if not by sight, then by scent, for his wife Nona had been making Borscht when he left and the savory red smell lingered in the air. Sadly, when he awoke, he could smell no stew and see no house. All had aged, for faeries trick time and men who stray from the hearth are seldom mourned. “Who are you looking for?” the man asked. “Oh no, Lars is not here. I am Otso and I am a bear.” He took a piece of dried rabbit out of the pocket of his trousers and began to gnaw at it, making the most disgusting noises as he ground and gnashed his old man teeth. For a moment, his headdress slipped, and I’ll tell you this, my friends: He really did look just like Lars.